Lin Römer, co-founder of AMSilk, discusses how a silk protein coating could change implants and the safety of medical devices everywhere. Every year, millions of people receive implants for medical and cosmetic procedures. While the majority of these operations have no long–term side effects, a portion of them result in complications that require follow up surgeries and expensive post-op treatments. As demand for medical implants has grown over the past years, finding a way to make implants safe and effective has been a key priority for the medical implants market. At AMSilk, we have created a thin coating from bioengineered silk to make medical implants – beginning with silicone breast implants – safer for the human body. Most medical implants today are made of crude oil-derived polymers or metals. Once placed inside the human body, these implants are registered as a foreign object and generate a physiological response from the immune system. This response – which occurs any time a foreign object enters the body – can in extreme cases result in complications ranging from painful inflammation to capsular fibrosis, necessitating further operations to fix or remove the implant. To address this challenge, the industry has sometimes turned to animal-derived materials for implants, which are primarily composed of proteins and are recognised by the body as natural. Unfortunately, many animal materials currently in use, such as collagen, are not easy to handle and are generally not desired due to their animal origin. Moreover, they are often not robust enough to withstand the sterilisation processes needed for them to be used in surgery. In contrast, AMSilk’s silk proteins can be used as a coating for almost any material and any implant size to give traditional implants a natural shell. Real spider silk, the model for AMSilk’s silk proteins, had been used for centuries in the form of cobwebs to stop bleeding and promote wound healing, but aside from the difficulty of finding enough cobwebs to supply a hospital, the quality of naturally occurring spider silk is too inconsistent for serious medical applications. At AMSilk, we use the tools of industrial biotechnology to produce synthetic spider silk proteins from engineered e.coli bacteria. These proteins possess many of the extraordinary properties of spider silk – a material known for its strength, flexibility and lightness – but in a form that makes them available for various applications. For the medical industry, we have created a highly biocompatible silk coating for medical implants designed to further reduce post-operative complications such as inflammation, capsular fibrosis and biofilm production, one that we’re proud to introduce alongside our corporate partner Polytech Health and Aesthetics. With the support of our partner, we have developed a coating for silicone breast implants as the first demonstration of the technology. Once inside the body, the silk coating acts as a thin protein barrier between the silicone of a typical breast implant and the body’s surrounding tissue, allowing it to be better integrated into the body. Currently, we are conducting human trials for the silk-coated silicone breast implants throughout Europe with Polytech Health & Aesthetics. 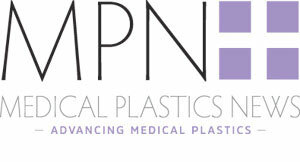 Following successful results in the studies, our goal is to expand the use of this innovative silk coating to a broad range of medical devices, ranging from other soft tissue implants to sensors and hernia meshes, as the silk coating layer we have created is adherent to almost any material, be it metal, plastic, Teflon or stainless steel. As the silk coating can be applied through traditional production methods (e.g. through dip- or spray-coating), it can fit easily into already existing manufacturing processes and is built to scale. We expect to see the implant community transition to using this technology in order to prevent many postoperative complications. With very little impact on the physical implant, we will be able to render it nearly invisible to the human immune system, resulting in less operations, less side effects, and longer-lasting products.